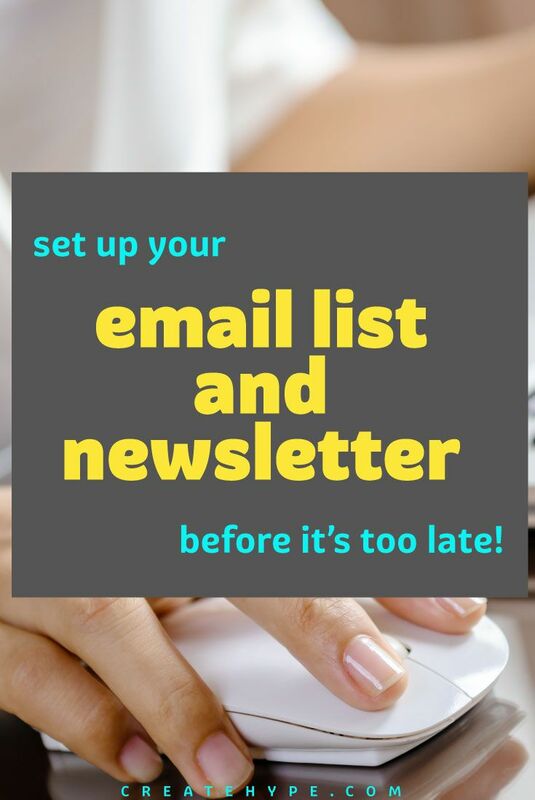 Set up Your Email List & Newsletter Before It's Too Late! 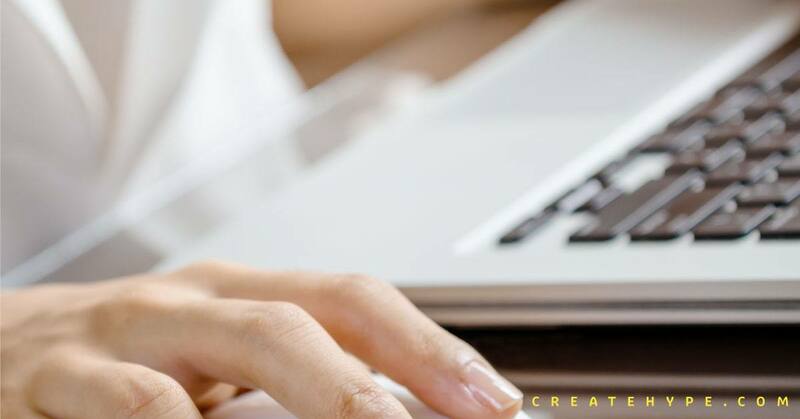 A lot of new bloggers often underestimate the value of an email list, however it is the most powerful marketing and revenue generating tool at your disposal. The primary concern for new bloggers often is to drive traffic and that is where they focus all their energy, but what happens when you get the traffic? If you are unable to capture the reader in an email list you have wasted your efforts. Depending on constant new traffic to generate an income from your blog is a flawed strategy. If your goal is to established a successful online venture, an email list is a must. You have probably heard of the saying “The money is in the list” I know bloggers who earn a lot more from their newsletter than they do from the ads on the blog. When Should I Start My Newsletter? Unfortunately most bloggers wait till their blog is “successful” before starting to build up an email list, however by then you will have lost a few THOUSAND potential subscribers! Implementing an email list should be one of your top priority when starting a blog. One of my biggest mistakes was not starting an email list when I started blogging in 2009, don’t make the same mistake. A newsletter is an excellent way to promote your own products or your affiliate products. Since the subscribers already have a “relationship” with you they are more likely to purchase something you recommend. About 60% of my affiliate sales come from my newsletters, but what’s more interesting is that the conversation rate of the newsletter is four times that of my site! Although setting up a newsletter may be a little time consuming the long term benefits far outweigh the investment and the earlier you start the better your ROI. How Do I Start a Newsletter? 1. Make it easy. No point in going through all the trouble of setting up a newsletter when nobody can find it. Bring the readers attention to your newsletter and make sure it’s easy to sign up. For example on this site you see a box on the right sidebar as well as at the end of the article. 2. Entice them to register. It’s always a good idea to offer something in exchange for the reader signing up. This can be a simple ebook, a mini course in your niche, a discount on a product etc. You don’t need to go crazy with it, just something to encourage people. 3. Value. If your newsletter doesn’t provide any value, people will stop opening your email and eventually unsubscribe. Make sure you provide valuable content. 4. Don’t Spam. Don’t send an email everyday. I usually recommend 2-4 times a month, depending on your niche. There are many email list management services available, however make sure you use a reliable one. Create Hype was using Aweber, then moved to GetResponse. I haven’t had any issues and it’s easy to use. You can test drive either Aweber or GetResponse for the first month and see how you like it. I didn’t realize you couldn’t do affiliate marketing with MailChimp. That’s all the more reason to sign up with Aweber. I started building my email list in my 10th or 11th month of blogging and it was one of the best decisions I’ve made. I paid $10 a month until my list reached 2,500 subscribers and now I pay $30 a month. I’ve got an auto-responder series set up with about eight or nine emails – tips to improve your finances that aren’t found on our site. Then I’ll send out a broadcast every few months with a deal or offer. I agree, you get really good feedback from your newsletter subscribers. Why do you email 2-4 times/month compared to most people who suggest mailing a lot? Fwiw, I think most bloggers email too much, but curious as to your thoughts, as many of them seem to have proof why they email more times. Do you have stats that back up your reasoning up 2-4x/month, or just that you don’t want to email more than that? I think there are a lot of reasons not to email too often. First of all the more you email the less valuable it will seem, less and less people will open your emails on daily basis and even less will take action, depending on your niche of course. I don’t have stats to back up 2-4x is better than more frequent emails, but just following the advice from a few great bloggers such as Pat Flynn and Darren Rowse has worked well for me and everyone else I know. TBH I haven’t really seen anyone saying that you should email a lot, any sources you have for this? It be interesting to check it out. I didn’t realize you couldn’t do affiliate marketing with MailChimp. Is that true? So you can’t put affiliate links in your emails? Obviously Pat Flynn and Darren Rowse are the ultimate authorities on all things blogging, so I’m sure it works for them, but personally, I think 3-4 times a month is way too often to send emails. If I get that many from anybody, I unsubscribe, my inbox is crazy enough as it is. I prefer once a month at most. This is brilliant advice. I unfortunately waited until I had people sign up for my newsletter before I wrote it. I also agree with the not emailing too often advice. Like others, I unsubscribe from lists I get too much communication from.